Nearly everyone has a little bit of excess fat on their body that they’d like to remove. If you’ve tried everything but still haven’t been able to sculpt your ideal physique, you may want to consider undergoing an aesthetic treatment to correct your problem areas. At the Dermatology, Laser & Vein Center, we know just how frustrating stubborn fat can be. That’s why we’re proud to offer our patients a broad range of cosmetic treatments that can help them correct this aesthetic concern and build the bodies they’ve always wanted. If you’d like more information about our practice or are interested in scheduling a consultation appointment with us, contact us today! How Does Excess Fat Form? The weight gain that causes excess fat can be the result of a variety of factors. As people age, their metabolisms begin to slow down, and it takes less food for them to start gaining excess weight. Genetic factors and hormones may also play a significant role, making some people more likely to store fat and less likely to burn it. 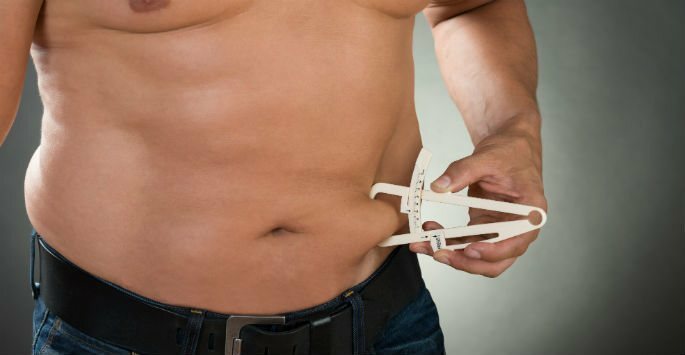 No matter the cause, excess fat can be a frustrating aesthetic problem to deal with. While many people try to get rid of the extra fat they carry in their abdomen, legs, buttocks, arms, neck, and face through persistent diet and exercise practices, they are often unsuccessful. Even if they are able to get rid of some of it, other areas may stubbornly retain excess fat. In these cases, a patient’s best option may be to consider undergoing an aesthetic treatment. People can accumulate excess fat on nearly any area of their bodies. Because of this, it’s important for aesthetic practices to offer patients a variety of fat removal treatments that can remove excess fat from different parts of the body. The Dermatology, Laser & Vein Center is proud to offer our patients a comprehensive selection of fat reduction treatments. SculpSure is a great way for patients to eliminate excess fat in their abdomens and flanks through a simple, 25-minute treatment. Both Exilis Elite and the Vanquish treatments can reduce fat in the face, neck, and other areas of the body using radiofrequency energy. Liposonix is an ultrasound-based procedure that involves absolutely no downtime or discomfort. Both Smart Lipo and Vaser Liposuction are more invasive methods of fat removal that bring patients more dramatic, long-lasting results. Interested in learning more about any of the treatments we offer for excess fat? Contact the Dermatology, Laser & Vein Center today to schedule a consultation appointment to see which treatment is best for you!